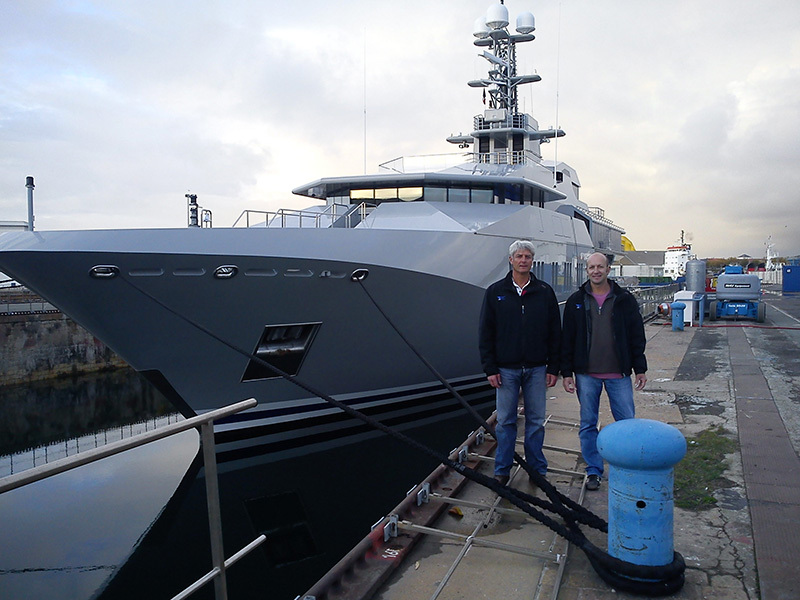 The superyacht SKAT came to ATLANTIC REFIT CENTER in October 2010 for a one month refit. The main job was to repaint the fore deck area (2 tender garage doors) and the front eye brow main deck-bridge deck. The paint job has been performed by ACA Marine. In some areas, teak deck and capping rails has been replaced or repaired.